Tis the season to decorate with Christmas bells and ornamental bells. 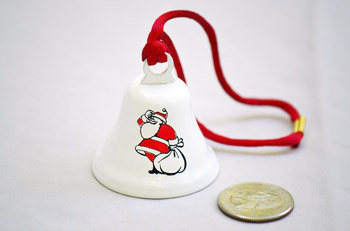 We have a generous supply of sleigh bells and bulk jingle bells for sale. 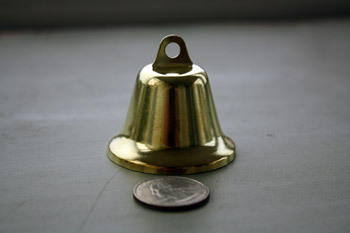 Decorate wreaths, garland, Christmas trees and more with our quality ornamental Christmas bells. Merry Christmas! Ornamental bells are a must have for your Christmas tree! Look through a variety of our ornamental Christmas bells or make your own homemade ornaments. 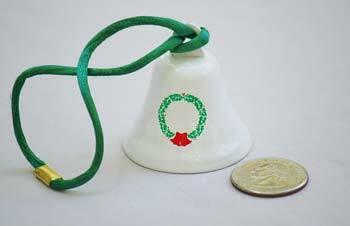 Choose your favorite bells from our Christmas bells and just tie on a loop of holiday ribbon/string. Bells are good on the tree and under the tree! 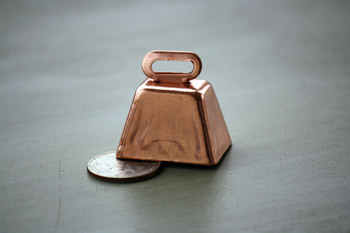 Give the gift of bells to a crafty family member. 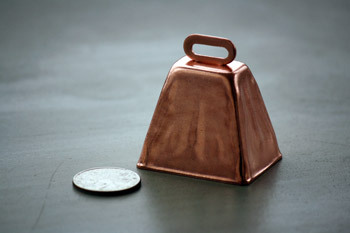 Everyone appreciates a beautiful, quality bell. Sew jingle bells and small bells to your stockings. They are the perfect decorative addition, adding musical fun to Christmas morning. Wreaths are a must have Christmas display. Put a few bells on your wreath to add visual beauty and a jingle-jangle every time you open your door. Your guests will be impressed with your Christmas spirit! Christmas garland becomes musical with bells! Add ribbons, ornaments, lights, and Christmas bells to your garland. If you want the best gift tags, add a jingle bell or tiny bell to the string! Don't just cut a strip of wrapping paper and write a name. 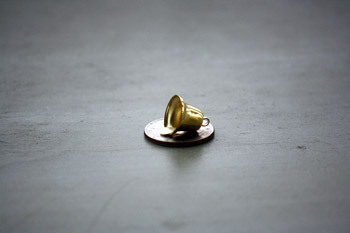 Make your presents extra special with a gift tag and an attached bell. It's like two presents in one! Christmas clothing becomes musical when you sew in a jingle bell. Sew bells to socks, hats, dresses, pockets, belts and more! 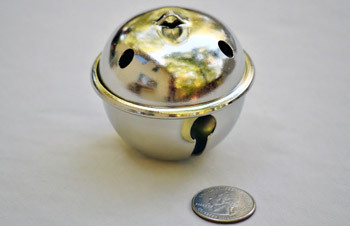 You'll add a jingle-jangle to each step with some quality bells. 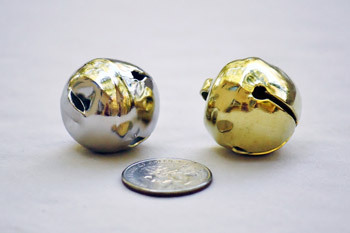 Tiny bells like jingle bells make awesome jewelry. String them to a necklace or put them on earring hooks. You will impress guests with your holiday spirit and attire! Put jingle bells on sleds and sleighs to alert others to where you are located. Bring a few handbells out for caroling. 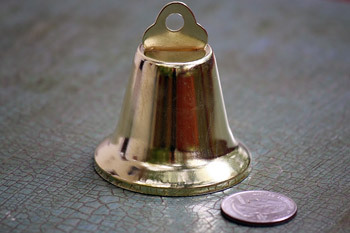 Bells have a simple and beautiful sound to be the perfect instrument for a choir. 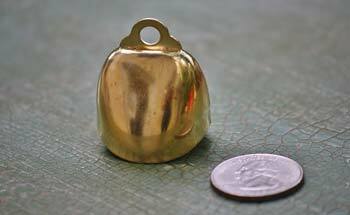 Ring in the New Year with a loud, celebratory bell! Our cowbells are loud and rowdy! 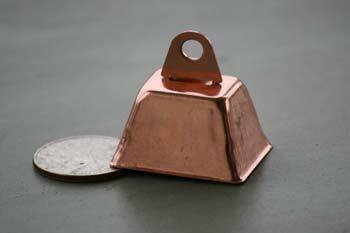 The ringing of bells was a central focus of Pagan winter celebrations in ancient times. The noise was believed to ward off evil spirits. 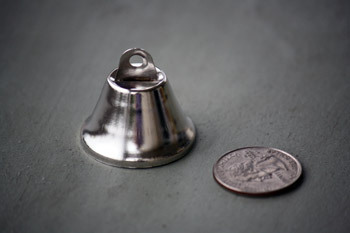 Bells become more widely known when their sounds were used to announce the coming of winter. 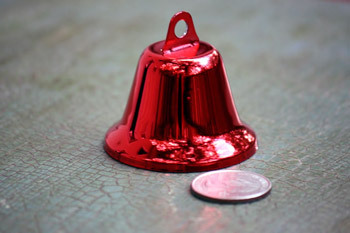 Christianity then adopted bells to celebrate Christmas and the holiday season! Traditional uses of Christmas bells are for decorating trees, wreaths, sleighs, and garland. 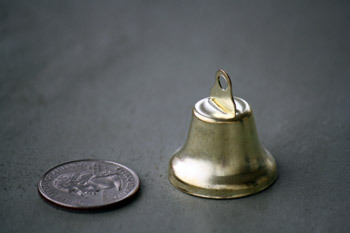 The light, pleasing tones of bells are celebrated in many popular Christmas songs. 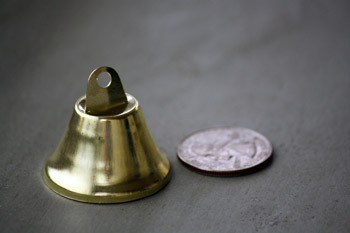 Churches and carolers often use hand bells for musical performances. 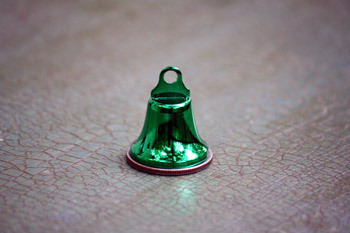 Christmas is complete with a supply of beautiful holiday bells. 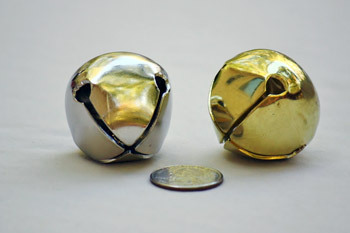 Jingle bells, also known as sleigh bells and crotals, are an enclosed spherical bell with pellets inside. 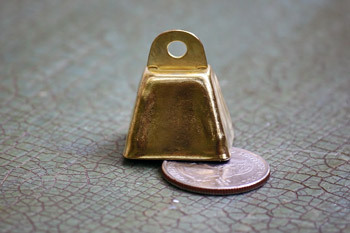 The bells produce a distinctive "jingle" sound, especially when grouped together in large numbers. 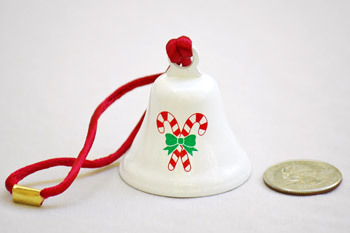 Jingle bells were originally fastened to horse harnesses to alert pedestrians to horse drawn carriages. This was especially important for sleighs and carriages traveling on snow, as the snow provided a cushion to make virtually no sound. Some popular Christmas songs that include Christmas bells are: Carol of the Bells, Jingle Bells, Silver Bells, I Heard the Bells on Christmas Day, Jingle Bell Rock, and With Bells On. "Jingle Bells" was written by James Pierpont of Medford, Massachusetts on September 16, 1857. The song was inspired by the annual one horse open sleigh races held in the downtown square. The original title of the song was, "The One Horse Open Sleigh". 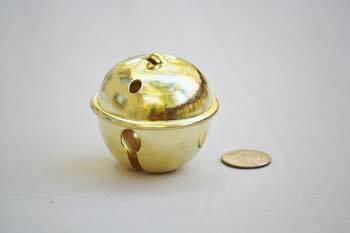 A friend of Pierpont called it a "merry little jingle," which helped give the song name we know today. Pierpoint was a church organ player who wrote the song for a children's Thanksgiving program at his church. The children's show was a success! And they were asked to perform it for the next Christmas program. 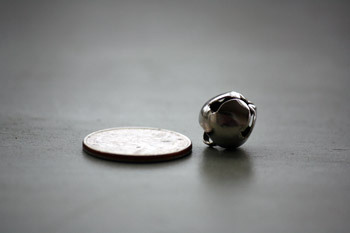 Jingle bells became a popular Christmas song from then on. "We have an object, looks like a satellite going from north to south, probably in polar orbit... I see a command module and eight smaller modules in front. The pilot of the command module is wearing a red suit..."
The astronauts then broadcast a live performance of "jingle bells" on harmonica accompanied by sleigh bells. The song was first recorded in 1898 by the Edison Male Quartette on an Edison cylinder. The spread of the phonograph and phonograph records and later on, radios, are what gained the song nationwide attention as a beloved Christmas song.